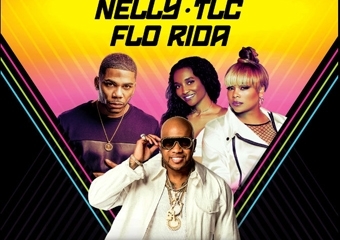 With older acts starting to take the stage more often in recent years, Nelly, TLC and Flo Rida felt it was the right time to give everybody that dream tour that they wanted since they were young. In what will surely be a night filled with nostalgic moments, the trio of musical acts will hit cities like Atlanta, Charlotte, Toronto, Boston, Detroit, and more. Tickets are set to go on sale at the end of this week. Aside from one date in Chicago where only Nelly and TLC will be present, all three are set to unleash their hits in a series of amphitheatre shows. Time to have fun, ya'll!!!!! !